This dessert is an airy treat. 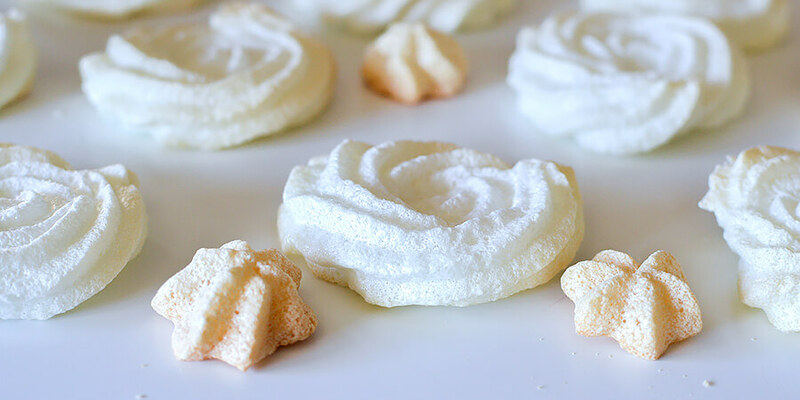 Sweet meringue cookies melt in your mouth, with a touch of almond flavor and almost no carbs per cookie. You can quickly whip up a batch of these when you are in the mood for something sweet, but don’t want to use up too much of your daily macros. I put in the instructions to bake for 40 minutes, but it really depends on the size of your cookies and how hot your oven runs. You’ll know that they are done when you can easily peel the cookies from the parchment paper without them sticking. If you’d like to add some more fat you can easily whip up some cream cheese, butter, and Swerve into a frosting. Then you can put them together as sandwich cookies! 1. Preheat oven to 210°F. Pour egg whites into your mixing bowl, then add the cream of tartar. 2. Start the mixer slowly increase towards a medium speed. When the egg whites start to look frothy stop the mixer and add 3 tablespoons Swerve, the almond extract, and salt. 3. 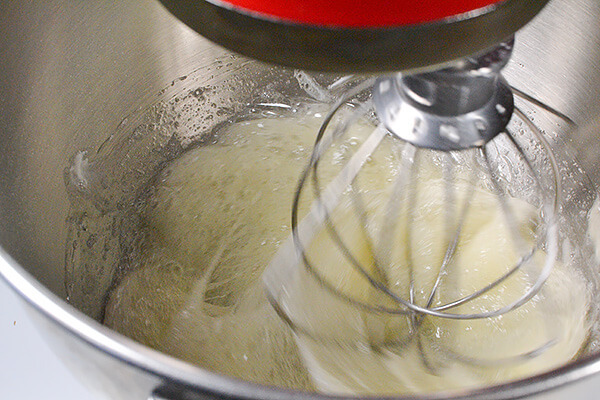 Mix on a high speed until the egg whites whip up to a medium consistency. Stop the mixer and add the remaining 3 tablespoons of Swerve. 4. Continue to whip on a high speed until the meringue becomes very stiff and starts to pull away from the sides of the bowl. Stop the mixer and scrape the meringue out of the whisk and down the sides of the bowl, then mix it again to make sure that everything is mixed evenly. 5. 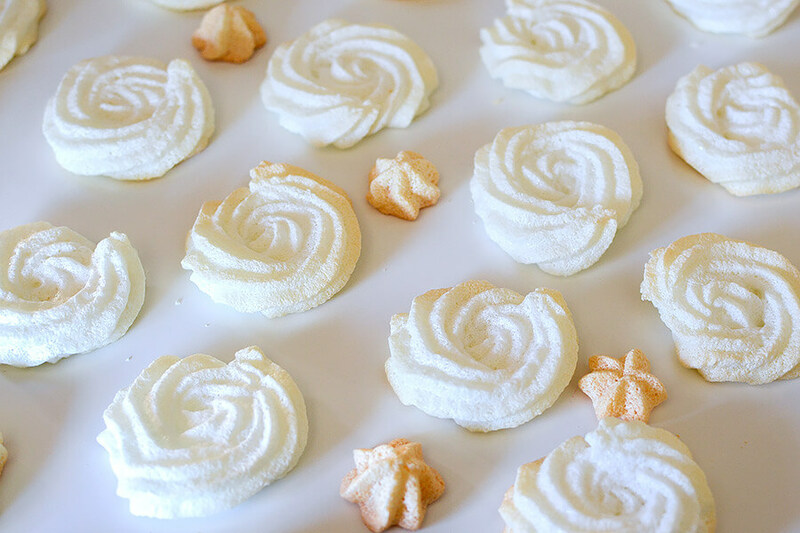 Load the meringue into a piping bag fitted with a large star shaped tip. Depending in the size of your bag you may need to refill the bag a few times in order to work your way through the entire batch. 6. Place sheets of parchment paper on 2-3 baking sheets. How many you need will depend on how closely you can comfortably pipe the cookies next to each other. Pipe out 18 rosette shapes, or whatever shape you are comfortable creating. 7. 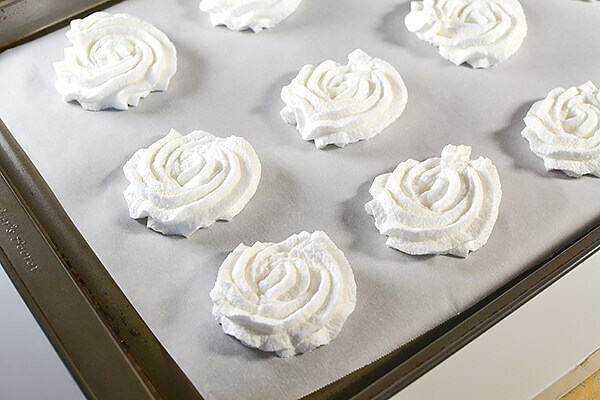 Bake the meringue cookies for 40 minutes at 210°F. Once they are done turn the oven off and crack the door open, then allow them to cool for another half hour. 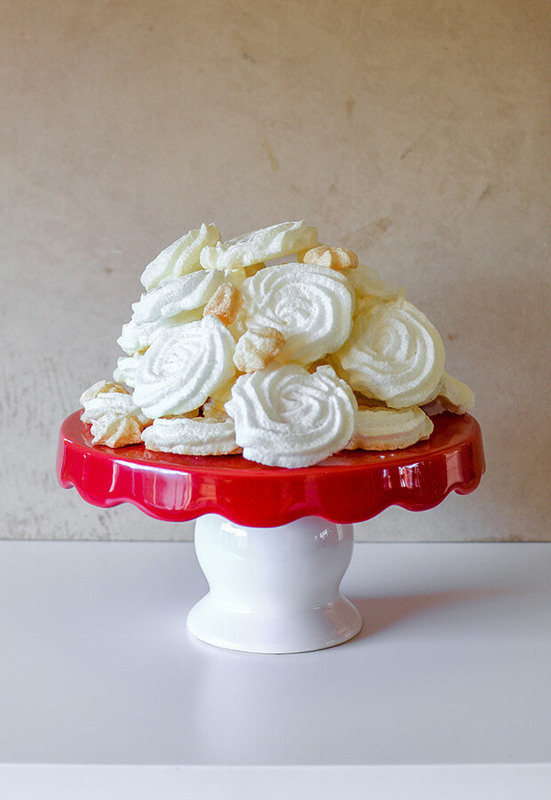 This makes a total of 18 servings of Crisp Meringue Cookies. Each serving comes out to be 4.11 Calories, 0.01g Fats, 0.09g Net Carbs, and 0.08g Protein. Preheat oven to 210°F. Pour egg whites into your mixing bowl, then add the cream of tartar. Start the mixer slowly increase towards a medium speed. When the egg whites start to look frothy stop the mixer and add 3 tablespoons Swerve, the almond extract, and salt. 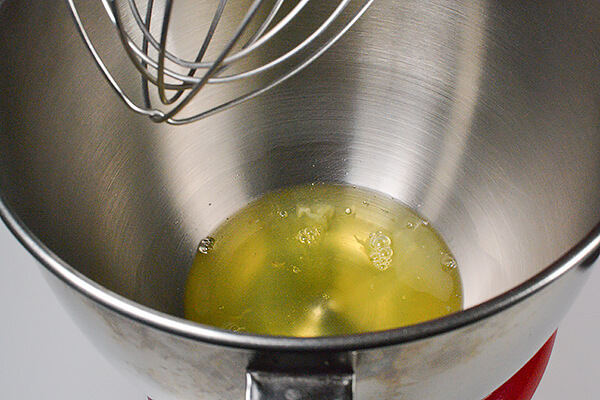 Mix on a high speed until the egg whites whip up to a medium consistency. Stop the mixer and add the remaining 3 tablespoons of Swerve. 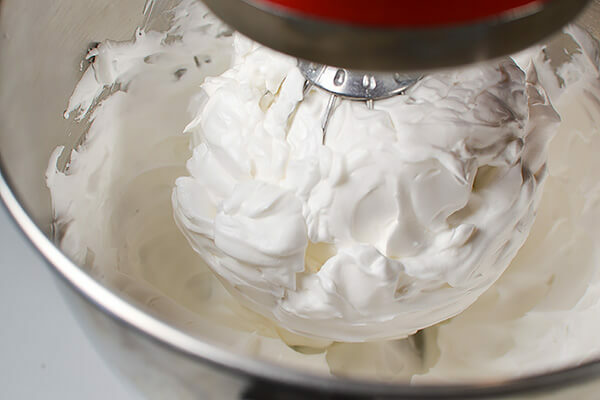 Continue to whip on a high speed until the meringue becomes very stiff and starts to pull away from the sides of the bowl. 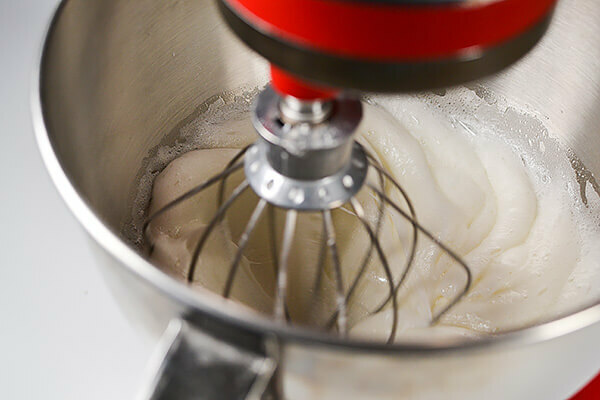 Stop the mixer and scrape the meringue out of the whisk and down the sides of the bowl, then mix it again to make sure that everything is mixed evenly. 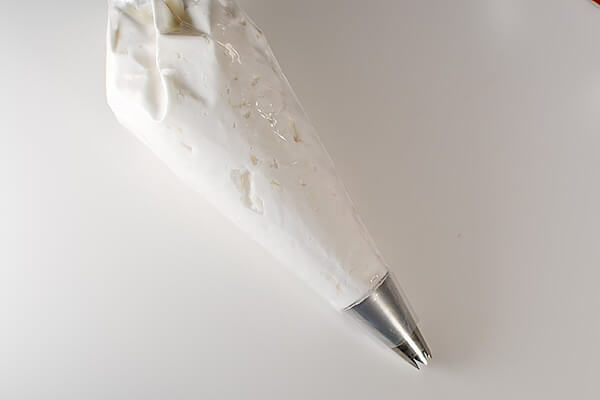 Load the meringue into a piping bag fitted with a large star shaped tip. Depending in the size of your bag you may need to refill the bag a few times in order to work your way through the entire batch. Place sheets of parchment paper on 2-3 baking sheets. How many you need will depend on how closely you can comfortably pipe the cookies next to each other. Pipe out 18 rosette shapes, or whatever shape you are comfortable creating. Bake the meringue cookies for 40 minutes at 210°F. Once they are done turn the oven off and crack the door open, then allow them to cool for another half hour.